In 1988, a merger between District No. 1 – Pacific Coast District/Marine Engineers' Beneficial Association (M.E.B.A.) and the National Maritime Union, resulted in tremendous dissatisfaction among the membership, which lasted until the spring of 1993, at which time the leadership of the various segments within M.E.B.A. entered into an interim settlement agreement, which, in fact, de-merged the merger. In 1993, the idea of affiliating with District 1, M.E.B.A., in which we would be a separate, independent labor organization having our own constitution, by-laws and elected officials became a serious consideration. 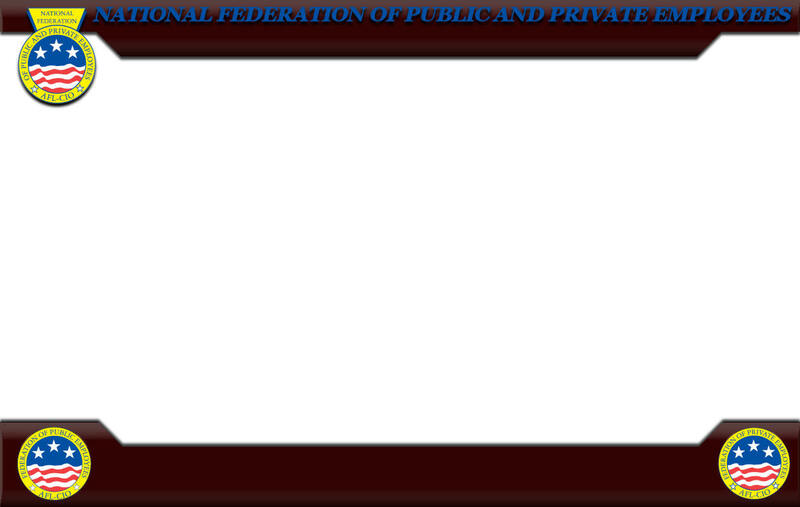 The National Federation of Public and Private Employees was created on April 9, 1994, with the signing of the original charter by all members of the Charter Committee. The Charter Committee, comprised of dues-paying members of the individual bargaining units, had much weight and responsibility on them, as they met every other Saturday, on their own time, researching and comprehending the pros and cons of affiliation versus being a division of M.E.B.A. District No. 1. A reputable, independent third party conducted the affiliation election on a unit-by-unit basis. At that time, there were 18 different bargaining units in the Federation of Public Employees alone, as well as the P.O.I.D. Division. P.O.I.D. became the Federation of Private Employees at the time of affiliation in 1994. Since that time with many hours of hard work from our National Organizer, we have organized several units in the private sector in the states of Michigan, Indiana, Kentucky, New York, Florida and Ohio.